A couple of guys here at HEXUS HQ are looking forward to getting their hands on Sky Q next year, but there are just as many who couldn't fathom spending such amounts on TV. Costs can vary wildly, and with the advent of digital distribution, it could be argued that many are less aware of how much they actually spend. After all, it's not like we go the DVD rental shop these days to hand over cold hard cash - it tends to be a click of the button and your money gets whisked away automagically. So it made us wonder, when you factor in all the TV, movies, music and games that we consume, how much are we shelling out, on average, each month? Doing a quick back-of-the-envelope calculation, my personal estimate for the year works out to about £20 per month. That includes the annual TV License (£145.50), Netflix (£5.99) and a yearly Xbox Live subscription (£20). I can't remember the last time I purchased a CD - Spotify's free package is proving sufficient, though I am tempted by the premium option - and the last game I bought was Call of Duty: Advanced Warfare on Xbox One, which came out last year. I've also given up on buying Blu-rays due to the inability to skip ads - yep, I am that stubborn. I suspect my spend is considerably lower than the average, but let's find out. Factoring in TV, movies, games and music, how much do you reckon you spend each month on digital entertainment? Let us know using the comments facility below. Music = Zero. I occasional purchase new music on a ad-hoc basis but never buy it regularly. TV = Zero. 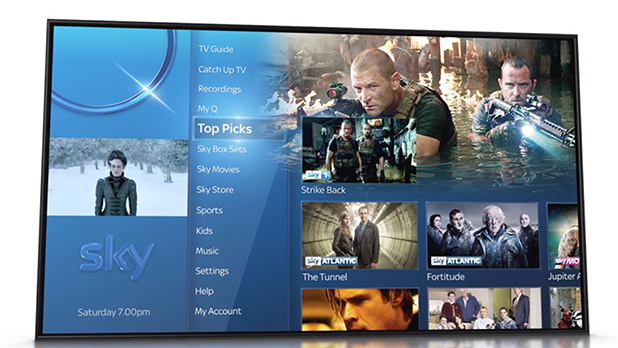 Once I got sick of Sky pricing, I haven't paid for TV again. If Sky offer an entertainment + football package for £20/month they can have me back as a customer….until then I refuse to pay £60-80 for a few TV shows and 2 football games each week! Movies = Zero. Stuck my fingers up to the film industry after amassing a very large DVD collection and then the industry wanted to charge me full price again to upgrade format, even though I have already paid for the most expensive part (IP)! The possible exceptions are that I use Amazon streaming (I get cheap Prime due to having an ac.uk address) and occasionally use it for accessing content. Games = Fluctuates wildly from month to month. Some months zero, other months over £100. Don't have streaming services, or a PC that warrants new releases. Don't own any consoles. Possibly spend more on books than on games. Zero for TV, music (unless 99p or less offer on Play store) or film. Spend a bit on Kindle books. Games: from £0.10 (Google play sale) to, nowadays, a fiver max. Managed to get 500+ games on Steam since its inception; 90% remain unplayed. No game is worth more than £10 IMHO, I'd rather give to charity than spend money on short-lived distractions tbh. I don't really have any fixed monthly outlay for entertainment. Well, unless you count broadband and tv packages. If you do that comes to about GBP 70.00 per month. With regards to movies, games and music I usually buy stuff when I find good or even great deals. At that point I can often blow quite a lot of cash at once. Then for a long period, nothing.